The night of his arrival on Solovki, Zosimas had a vision of a beautiful church floating in the air, and the surroundings were bathed with light. From of old, the monks and hermits of Russia burned with desire for the ascetic life, that they might be accounted worthy of a crown and grace which cannot be obtained without suffering. The ascetic life, rigorous and strict, developed the fear of God and love for one’s neighbor; mortifying the flesh, it led to purity of soul, and prepared the ascetic to become “a citizen of the heavenly city and an inhabitant of the Jerusalem on high.” In this regard the remote North, with all the difficulties life there entails, was a considerable aid to asceticism. 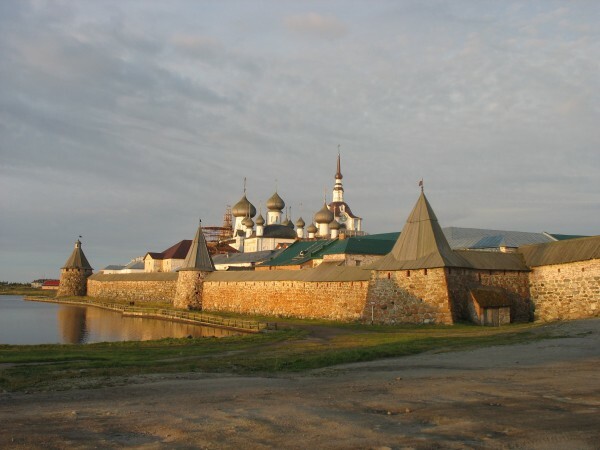 On the islands of Solovki, situated along the northern part of the Onega Firth of the White Sea, monasticism flourished. The small Solovetsk Archipelago, consisting of comparatively low islands (the six most prominent being: Great Solovki, Anzersk, Great and Little Muksalma, and Great and Little Zayatski), became the refuge of the Monastery of Solovki, which was founded on its shores in the 15th century. Through the course of its five-century existence, the Solovki Monastery, serving as a hotbed of faith and piety for all the northern reaches of Russia, nurtured many true servants of God. Some found salvation in the labors of obedience and monasticism; others, in the activity of enlightening the native peoples of the North; and yet others pleased the Lord by ascetic endeavors in the solitary wilderness. The holy seed of monasticism, planted by the ascetic hand of the venerable Zosimas and Sabbatius on the wild and uninhabited island of the frigid sea, continued to bear fruit until this century, when, in the early ’20s, the communists closed the monastery and turned it into a concentration camp. “The Arctic Auschwitz,” Solzhenitsyn called it. Here hundreds of thousands of innocent people, among whom were a great many bishops and clergy, were brutally driven to their deaths, and the islands of Solovki, like the rest of Russia, became sanctified by the blood of martyrs. With their pristine forests abundant with game and their numerous lakes and inlets full of fish, the Solovetsk islands were long a favorite destination for local Karelians during their summer hunting and fishing expeditions. But the long, severe winters, cutting the islands off from the mainland for six months of the year, and the rough sea with its frequent storms discouraged permanent settlers, and until the 15th century the islands remained uninhabited. It was then, in 1429, that the monk Sabbatius, who had already achieved renown as an elder at the monastery of Valaam, came in search of a more secluded place, far from the praise of men and conducive to the ascetic life. Hearing of the remote islands of Solovki, he made his way to the shores of the White Sea, where he encountered the monk Herman, living alone near a chapel at the mouth of the River Vyg. Together they decided to move to Solovki. There on the largest of the islands they planted a cross, and at the foot of Sekirnaya Hill they built the first cell. For six years they struggled together, enduring the physical rigors of the harsh northern clime and sanctifying the area by their prayers and ascetic labors. In 1435, Saint Sabbatius foresaw that his earthly sojourn was coming to an end. Desiring to receive the Holy Mysteries before departing this life, he journeyed to the mainland, to the chapel at the mouth of the River Vyg where, by God’s Providence, he encountered a priest-monk who had come to give Communion to a sick peasant in the area. Having partaken of the Life-giving Body and Blood of Our Lord, Sabbatius peacefully reposed and was buried there at the chapel. The following year, Saint Herman was joined by a young monk Zosimas. The night of his arrival on Solovki, Zosimas had a vision of a beautiful church floating in the air, and the surroundings were bathed with light. Thus encouraged, the two monks set about building a cell and stockade about eight miles from the first cell. They began to cultivate the earth and plant seeds. In late autumn, Saint Herman set out for the mainland for essential supplies, but was unable to return due to inclement weather. Saint Zosimas spent the winter alone on the island: starvation threatened him, but two unknown men, appearing to him miraculously, left him a supply of bread, flour, and oil. In the spring, Saint Herman returned to Solovki with a supply of food and gear for fishing, and with him was the fisherman Mark, who later received the tonsure and became the first of their disciples. When several hermits settled on the island, Saint Zosimas built a little wooden church in honor of the Transfiguration of the Lord and a refectory, and petitioned Jonah, Archbishop of Novgorod, to send an abbot and consecrate the church. This was the beginning of the famous Monastery of Solovki. The community continued to grow, and at the request of the brethren their father Zosimas was ordained to the priesthood and elevated to the rank of abbot. Saint Zosimas occupied himself with the inner life of the community and introduced a strict communal manner of life. In 1465, he transferred the relics of Saint Sabbatius from the River Vyg and interred them behind the sanctuary of the Cathedral of the Dormition. Many of the sick, approaching them with faith, received healing through the supplications of Saint Sabbatius. When Saint Zosimas reposed, in 1478, he was buried, in a coffin he had prepared for himself, beyond the sanctuary of the Church of the Transfiguration. He, too, became a proven intercessor for the sick, and many hospital chapels were dedicated to him. In 1566 his relics, together with those of Saint Sabbatius, were transferred to a side-chapel dedicated to their memory in the monumental Church of the Transfiguration. Together they appeared many times to rescue fishermen who were perishing at sea. 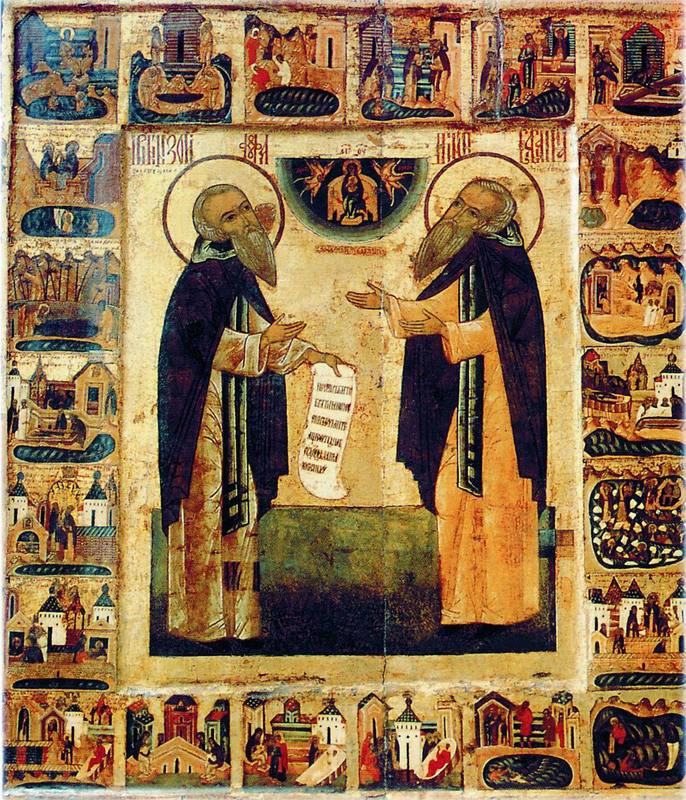 While Saints Zosimas and Sabbatius are considered to be the founders of Solovki, and are depicted as such in icons, their fellow ascetic, Saint Herman, is equally to be credited. Though illiterate, he loved to listen to edifying readings, and adjured his disciples to collect a library of books at the monastery. In seeing to the needs of the community, the Saint undertook dangerous voyages and long journeys to the mainland, even when he reached old age. In 1479, during such a journey to Novgorod, he reposed at the Monastery of Saint Anthony. His body was being brought back to the Monastery of Solovki, but because the roads had become impassable, it became necessary to bury him at the chapel on the River Svir. In 1484, when it was decided to transfer the Saint’s coffin to the site of his ascetic endeavors, his relics were discovered to be incorrupt. Thus did these three monastic luminaries shed the light of grace upon these holy isles, dedicating them to the praise and glory of God. Nor was the spiritual influence of the Monastery of Solovki limited to the surrounding area. It spread throughout Russia, west to the borders of Sweden and east to Pechenga. The monastery developed contacts with Mount Athos, with Serbia and Constantinople. It was visited by Tsar Peter I and Tsar Alexander II. A number of ever-memorable hierarchs received the monastic tonsure and were spiritually nurtured there: Patriarchs Ioasaf I and Nikon, Metropolitans Isidore of Novgorod and Philip of Moscow and All Russia. The latter was for 18 years abbot of Solovki, and even had he not become patriarch, his extraordinary accomplishments in terms of both the physical and the spiritual development of the monastery, already established his renown. He joined the choir of saints as an ascetic, a monastery builder, a hier-arch, a confessor, and a martyr. Saint Philip, whose baptismal name was Feodor, was born in 1507, to the prominent boyar Kolichev family. Raised by his parents for government service, on the one hand, and on the other hand, in sincere faith and reverence, Feodor, realizing that palace life was vain and sinful, yearned for the city of heaven. In 1537, during Sunday liturgy in church, the words of the Saviour fell with particular force upon Feodor’s heart: No man can serve two masters (Matt. 6:24). Without bidding farewell to his parents, he disguised himself in the clothing of a simple peasant, left Moscow, and traveled north. His thirst for ascetic endeavor led him to the Monastery of Solovki. There he undertook the most onerous tasks, and after a year and a half of testing received the monastic tonsure with the new name, Philip. Under the direction of experienced elders, the monk Philip grew spiritually in obedience and labor, intensifying his prayer and fasting. In 1546, he was elevated to the rank of abbot of the Monastery of Solovki and began to apply all his efforts to raise the spiritual significance of the monastery and its founders, Saints Zosima and Sabbatius. 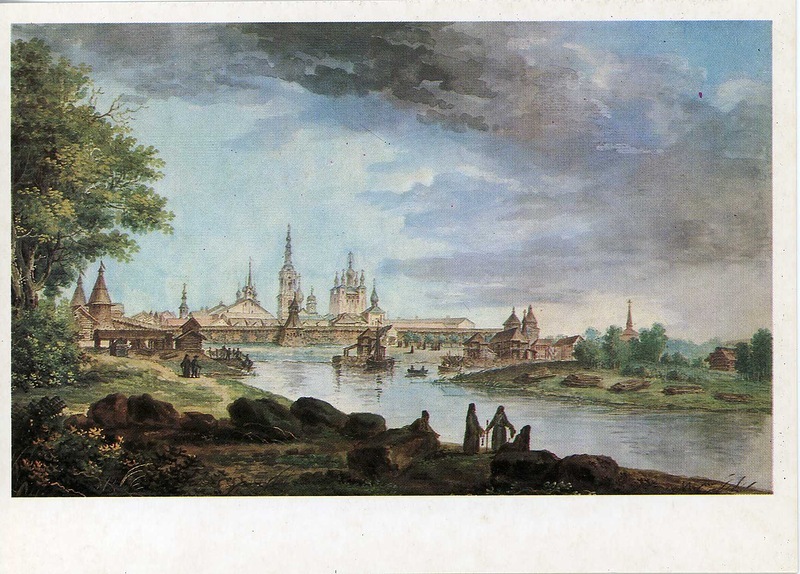 Before this, the monastery burned down, and Saint Philip began to rebuild it with funds given him by his parents when he traveled to Novgorod to be ordained. Everything in the Monastery of Solovki bespeaks the tireless energy and powerful strength of will of its brilliant restorer. He began with the mining of iron ore and common salt, to acquire funds for further activity. Then he joined fifty-two lakes into a single “Holy Lake,” from which the monastery began to draw potable water, and which he connected by a canal to the sea. On this canal he built his famous mills. Instead of beacons he set up tall crosses, and built a pier, infirmary, and hostel for pilgrims. He surrounded the monastery with walls of granite, and gradually replaced all wooden structures with brick, for which he founded a brick-works. He invented some sort of horseless transport and sieves which automatically sifted flour. He started an animal farm and raised reindeer herds, from whose hides clothing and footwear were fashioned for the brethren in sewing shops he set up. He improved the food, which was essential, given the severe climate of the Solovki Islands, but increased the severity of the monastic rule, and placed obedience very highly. He improved the life of the monastery’s peasants, provided them with a paid leadership, and gave the peasants the right to lodge complaints. And he vigilantly watched over their way of life and morality. He directed all his projects personally. Saint Philip erected two magnificent churches on Solovki – the Refectory Church of the Dormition of the Mother of God, and the Cathedral of the Transfiguration of the Lord. The abbot himself worked as a simple laborer, helping construct the walls of the Cathedral of the Dormition. Under the northern vestibule he dug a grave for himself next to the grave of his spiritual guide, the Elder Jonah. Spiritual life in the monastery flourished, but Saint Philip often withdrew for secret endeavor in prayer and solitude to a place in the dense wilderness, a mile and a half from the monastery. This place later became known as Philip’s Hermitage. But the Lord was preparing His holy favorite for another ministry and many struggles. In Moscow, Ivan the Terrible, who in the years of his youth had loved Saint Philip, now remembered the hermit of Solovki. The tsar hoped to find in the abbot a faithful comrade, a spiritual father and counselor, who, from the heights of monastic life, would have nothing in common with the seditious boyars. Although Philip long refused, trying to persuade the tsar to disband his oprichniki, his consecration as a successor to the holy hierarchs of Moscow took place on July 25, 1566. An awareness of his hierarchal duty prompted Metropolitan Philip to rebuke the tsar for his cruelties. The final break occurred in 1568, when the metropolitan refused to bless the tsar, who had entered the Cathedral of the Dormition with his armed followers, who, as was their custom, were wearing monastic garb. Saint Philip publicly denounced the iniquities they committed, and provoked the wrath of the tsar. The fate of the holy hierarch and confessor was sealed, but the tsar wanted to preserve the appearance of canonical order, and the Boyar Duma dutifully resolved that the head of the Church of Russia be brought to trial. False witnesses were found (to the sorrow of the holy hierarch, these were monks from his beloved Solovki Monastery), who accused him of everything, including sorcery! The sentence was handed down, then the Saint was driven in disgrace from the cathedral and kept in long confinement in the cellars of the monasteries of Moscow, where he was tortured. Finally, he was sent into imprisonment in the Otroch Monastery in Tver, where a year later, on December 3, 1569, the holy hierarch received a martyr’s end at the hands of Maliuta Skuratov, who ordered the brethren to bury the strangled metropolitan immediately, without a funeral service. In 1591, Tsar Feodor I, the pious son of Ivan the Terrible, ordered the remains of the hieromartyr transferred to the Monastery of Solovki, where they were interred in the place he himself had chosen while he was abbot. At that time, his relics were discovered to be untouched by corruption. Saint Eleazar of Anzersk is revered as the founder of heremitic life on the islands of Solovki. He was born in the city of Kozelsk, to the family of a merchant. With the blessing of his parents, he withdrew to the Monastery of Solovki and received the tonsure. In the monastery his marvelous artistic talent was discovered: he mastered the art of wood carving and took part in the adornment of the Cathedral of the Transfiguration. In 1612, with the blessing of the abbot, he withdrew to the island of Anzersk, where he became a hermit and abode constantly in prayer and contemplation of God. To support himself on his desolate island, Saint Eleazar carved wooden cups, which he left on the pier. Those sailing past the island would stop and collect the cups, leaving supplies in exchange. In 1616, Saint Eleazar was tonsured to the great schema. The monks who gathered around the Saint formed a skete, governed by a strict rule of monastic life modeled on those of antiquity. Monastic cells were built far apart. The hermits assembled only for the divine services on Saturdays and Sundays. Private prayer was joined to hard physical toil. Among the disciples of Saint Eleazar was Hieromonk Nikita, the future Patriarch Nikon. Tsar Michael Feodorovich generously aided the monks of Anzersk in the construction of a stone church dedicated to the All-holy Trinity, and a monastery on their island. 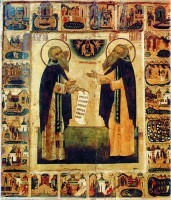 Several of the abbots of Solovki, envying the favor shown by the royal house to the elder of Anzersk, hindered the construction of the church, and even imprisoned Saint Eleazar for a time in the Solovki Monastery. The Saint reposed at a profound old age, on January 13, 1656, leaving behind instructions, interpretations, and other books. To his pen are ascribed an interpretation of the monastic cell rule, and instructions to new monks. After the repose of Saint Eleazar, the Skete of Anzersk ceased to flourish, although monastic life continued there. In 1764, the Skete of Anzersk was transferred to the Monastery of Solovki, from which monks seeking stillness went with the blessing of the abbot. The flourishing Monastery of Solovki was held in great respect and honor all throughout Russia up to the time of the Revolution. But the post-Revolutionary period imparted a special position and conferred a special status to the Solovki Islands in the spiritual life of the land. One of the aims of the new regime was the annihilation of religion, the “opium of the people,” and from 1920 to 1923, the monastery was gradually liquidated. On its terri-tory, where a state prison had existed from 1718 until its closure in 1903, the first forced-labor concentration camp began to function. In the 1920s and ’30s, the Solovki Islands became the place of imprisonment of a great many Orthodox clergy and laymen, who were condemned because they had protested the confiscation of the Church’s valuables and opposed the activities of the Living Church. Later, the camp filled with priests condemned for “violation of the decree on the separation of Church and State,” and with wandering monks and nuns whose monasteries had been closed. From 1928, “non-commemorators” abounded, i.e., those who participated in the anti-Sergianist opposition and protested against the de facto submission of the Church to the State. They took the path of confession blazed by the holy hierarchs and confessors of the past – Metropolitan Philip of Moscow, Patriarch Hermogen – by not entering into agreement or fellowship with iniquity, nor into union with darkness. Here were lamps of the Spirit, luminaries and guides, arch-pastors and pastors of the Church, who remained faithful and laid down their lives in the struggle for the truth of God. 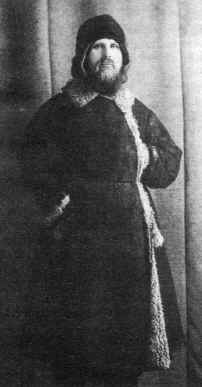 Archbishop Ilarion was in the Solovki camps until the winter of 1929, when he was sent into exile to Central Asia. On the way, he contracted typhus and died in the Petersburg Prison on 15/28 December. Six years in the camps had transformed the once tall, broad-shouldered knight of a hierarch into a pitiful, grey-haired old man. His body was given to his close relatives, who buried it in the cemetery of the Novo-Devichiy Convent in Saint Petersburg. In half an hour Vladika Maxim and I left our Company and started out for the indicated “address.” Twice patrols asked for our permits. We, as physicians, had them. But what about the others?-Vladika Victor, Vladika Ilarion, Vladika Nektary, and Fr. Nicholas? Vladika Victor worked as a bookkeeper in the rope factory. Vladika Nektary was a fisherman; and the others weaved nets… Here was the edge of the forest. Here was the box, about nine yards long, without windows, the door scarcely noticeable. Light twilight, the sky covered with dark clouds. We knock three times, then twice. Fr. Nicholas opens. Vladika Victor and Vladika Ilarion are already here… In a few minutes Vladika Nektary also comes. The interior of the box has been converted into a church. On the floor, on the walls, spruce branches. Several candles flicker. Small paper icons. The small Plashchanitsa is buried in green branches. Ten people have come to pray. Later another four or five come, of whom two are monks. The service begins, in a whisper. It seemed that we had no bodies, but were only souls. Nothing distracted or interfered with prayer… I don’t remember how we went “home,” i.e., to our Companies. The Lord covered us! (Russia’s Catacomb Saints, Platina, 1982). Together with other imprisoned bishops who refused to commemorate Metropolitan Sergius, Bishop Maxim clandestinely consecrated several new bishops during his term. In the summer of 1930, bidding farewell to a fellow prisoner who was being transferred, Vladika Maxim foretold his own end: “You know, in a few months they’re going to arrest me, too, and execute me.” Vladika’s prediction was precisely fulfilled. In December of 1930, he was arrested, sent to Moscow, and there shot on June 4, 1931. Archbishop Peter of Voronezh (Vasily Con-stantinovich Zverev) was born on January 18, 1878, to the family of an archpriest. Having received the monastic tonsure in 1900, while a student at the Kazan Theological Academy, he was ordained hieromonk in his last year. During World War I, he was an active duty chaplain in the army. 1918 saw the beginning of his many arrests and exiles. At the same time he received episcopal consecration, and in 1925 was appointed to Voronezh. The people fell in love with Vladika, for he was exceptionally cordial, attentive and kind. He loved everybody as though they were all his relatives. The churches where he served were always full to overflowing, and the services were conducted as they were on Mount Athos. Under Archbishop Peter began the almost universal return of churches from the Living Church, and he would receive clergymen returning to Orthodoxy through public penance, with great solemnity. In November of 1926, his final arrest took place. He was sentenced to a ten-year term in the camps, and transported to Solovki, where he worked as a bookkeeper. After Archbishop Ilarion (Troitsky) departed from Solovki, Arch-bishop Peter was considered the senior hierarch there and enjoyed the respect of the clergy. In the winter of 1928, Archbishop Peter and other clergy were transferred to the camp on Anzersk Island, “a solitary and deserted place of residence” (letter of Archbishop Peter from prison). Living there in the former Golgotha Skete, in a prayerful spiritual state, he was inspired to compose an akathist hymn to Saint Herman of Solovki. He died on February 7, 1929, in the Golgotha infirmary, and when his funeral service had been sung, he was buried in a separate grave at the base of Golgotha Hill. These few vignettes give but a small glimpse of the sanctity cultivated in the hearts of the monks and martyrs of Solovki. We will never see the whole picture: the monks who labored in chosen anonymity, the martyrs who died before their stories were ever told. (In the 1930s, over a thousand intellectuals “disappeared” from the Solovki camp. Were they among the estimated 9,000 Gulag victims whose remains were discovered three years ago in a mass grave in Russia’s far north?) What is clear is that here were Orthodox Christians who understood the value of struggle and suffering when endured for the sake of Christ. These saints have left us a worthy example. It remains for us to learn their patience, their courage, and their faith. Holy monks and martyrs of Solovki pray to God for us.